Artist & Avid Supporter of the Arts, Encouraging Community & Connection. Painter with a Knack for Color & Beauty in Representational & Abstract Art. Do you ever look at an artist's work and feel their energy coming through? Every medium expresses emotions differently, and when used well, powerful vibes can radiate, powerful positive vibes as is the case with Tricia Perkey! 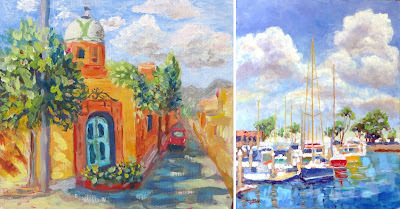 Her paintings and pastel pieces are full of color and impressionist like strokes. She really knows how to convey movement and energy like the old masters. She commonly recreates a snapshot in time of people active in beautiful surroundings, be it the trails in Austin, an abundant garden or enjoying the coast. 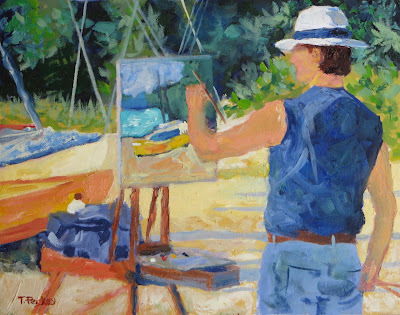 I especially appreciate her paintings of plein air painters. I love the idea of showing a work in progress as well as their maker fully immersed in their chosen setting. Part of me wonders if the same idea that motivated this series led Tricia to a more recent project, the Lake Travis Artist Showcase. 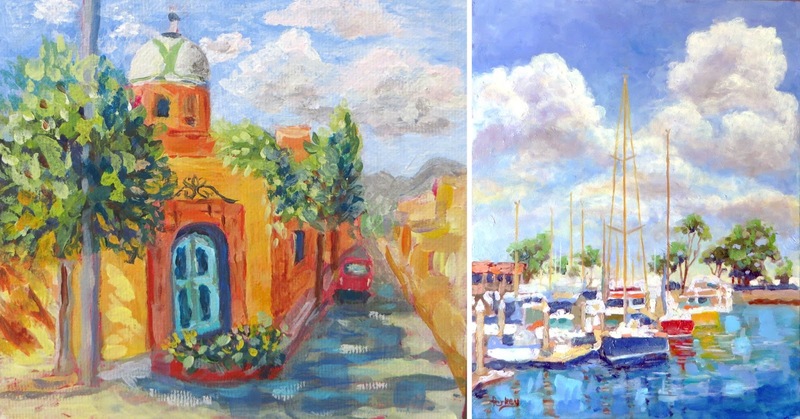 This realtor turned painter has been quite an inspiration to watch as she brings together other local artists and helps them promote their work. Tricia values the need for community as an artist, and she supports many talented creatives in her area who might otherwise feel alone on their own little art island. It's not easy to organize artists, but I admire how Tricia never gives up. In today's world, there are more and more nontraditional ways to show work, but that also means lots of noise. While we aren't limited to museums and galleries anymore, you need someone like Tricia to find space and encourage people to visit. She's been instrumental in the Lake Travis Artist Showcase, and never misses a moment to speak glowingly about the artists featured. You know she loves what she does because it shines through in every piece and every community event! We're lucky to have you Tricia! Keep up the great work!